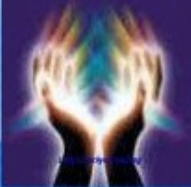 Welcome to Lady Cherilynn Healing, your trusted psychic since 1999. I believe that everyone has the potential to improve their life and their Twin Flame Relationship, yet they do not have access to the information they need in order to do so. My ability to tap into the energy of my clients and touch on important details from past, present and future events enables me to provide my clients with useful information in order to make impactful life changes. Book an appointment and see how I can help you improve your life. Services offered - Intuitive Readings, Tarot Readings, Chakra Cleansing and Alignment, Healing and much more.